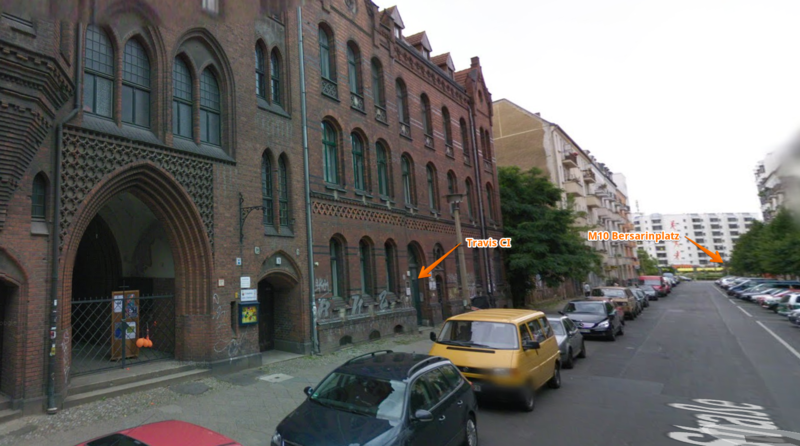 We meet at the Travis CI office in the Berlin district of Friedrichshain. The address is Rigaer Straße 8, a short walk from both the tram at M10 Bersarinplatz and the U-Bahn at U5 Frankfurter Tor. We are next door to the Galiläakirche (Galilee Church). Find the door marked number 8 and ring the doorbell marked “Tessa”. We’ll buzz you in. Inside, take the staircase on the left and go up to the top floor.